The film's story begins when Arata inadvertently touches "Hermes Apocrypha," Lilith's Grimoire. Suddenly, he is enveloped by a bright white light, and a girl appears before him. She calls herself Lilim, and treats both Arata and Lilith as her parents. At the same time she appears, something changes in the world. The forbidden Eternal Library awakens. In the Library is sealed the ultimate culmination of Alchemy, the White Demon Lord. 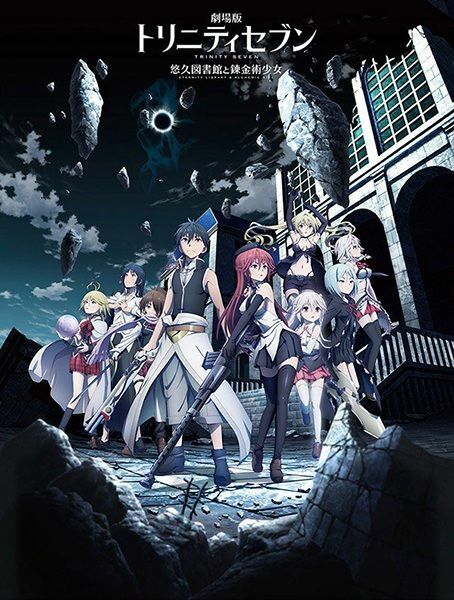 The White Demon Lord plots to eliminate Arata and the Trinity Seven to usurp the position of Demon Lord. Bristling with untold power, the White Demon Lord attacks Arata, and triggers a desperate crisis where Arata and the Trinity Seven must save the world in this last battle.